The control of a pencil and the beauty of watercolour. Mix with water to create interesting colour flows and stunning watercolour effects. 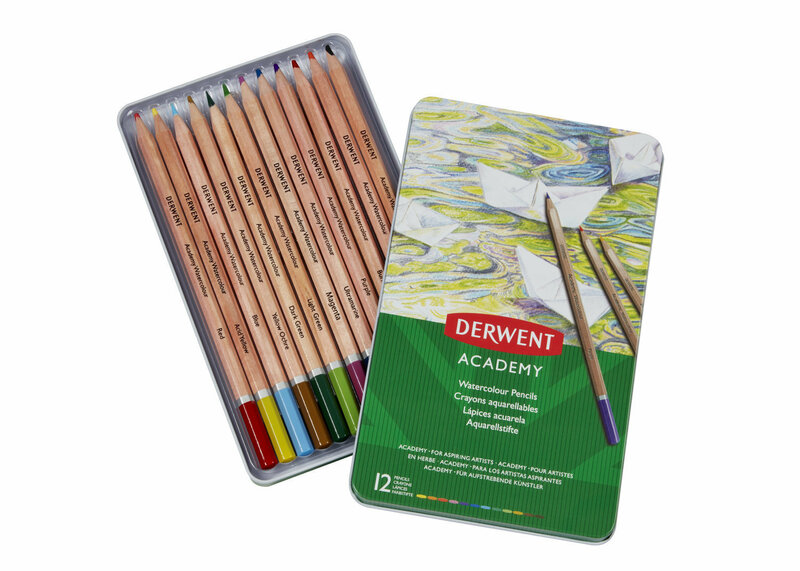 The tin of 12 pencils contains Deep Cadmium, Orange Chrome, Deep Vermilion, Crimson Lake, Imperial Purple, Spectrum Blue, Prussian Blue, Mineral Green, Grass Green, Golden Brown, Copper Beech and Ivory Black.